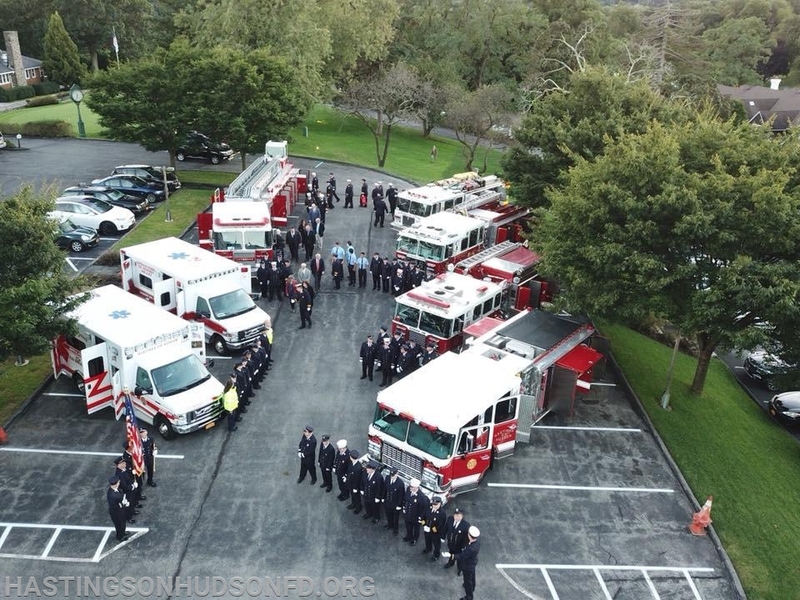 On September 28, the Hastings-on-Hudson Fire Departmemt held their annual inspection at Saint Andrew’s Golf Club. The inspection, a required event by state law, allows village officials and other dignitaries the opportunity to review the equipment, membership and apparatus. 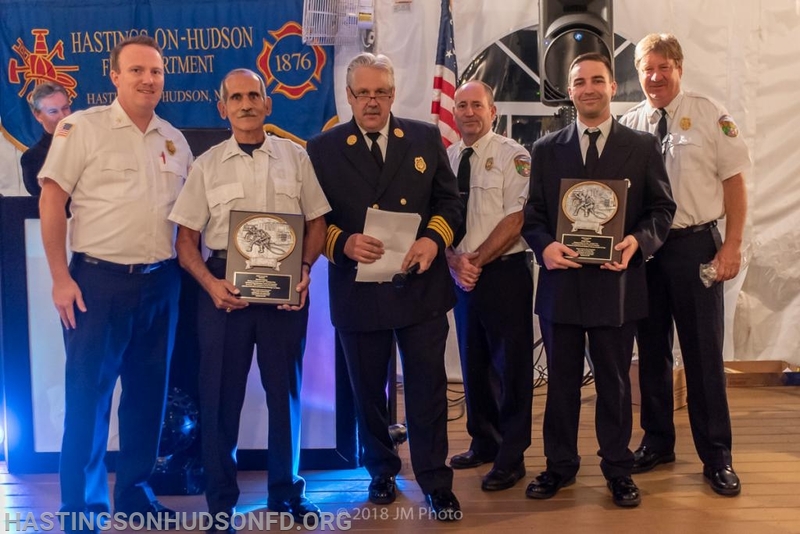 Over 50 members attended the event, including Deputy Chief Charles Hoffman of Ladder 22, who received an achievement award from the fire department, as well as the Westchester County Assoc. 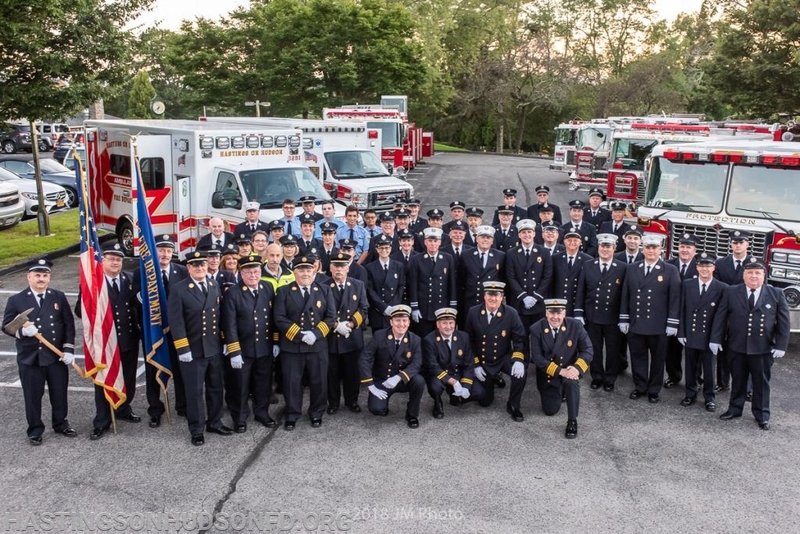 of Fire Chiefs, on reaching fifty years of service. Additionally, the department recognized Amy Tilipko and Brendan Woods for being the top responders of the year for EMS and Fire calls, respectively. The department honored Marissa Minozzi, a lifeguard with the Chemka Pool, with the inaugural Community Service Award, for a rescue performed this summer of a pool patron. Finally, David George and Bryan Healy were each honored with the Chief’s Award, for their work as EMS trainer and department statistician, respectively.